Living in the driest state, on the driest inhabited continent on the planet, South Australians need as much care as we can get for our skin – even better when it’s a local product. The beauty industry is going strong. Consumers are using more products than ever before, but what does this mean for the health of our skin? It’s a question Manoj Jain from Belle Botanique has been exploring for more than 20 years. 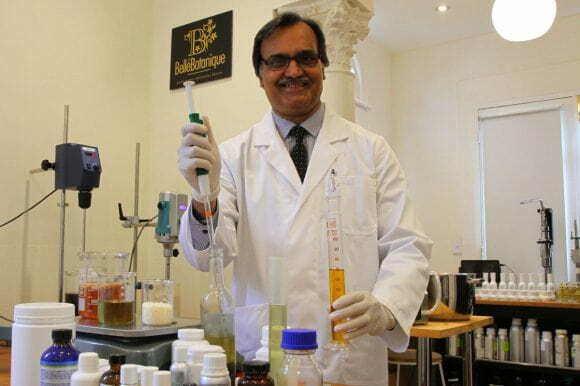 Manoj has worked in the cosmetic industry as a formulator, creating products based on green chemistry. He has put decades of knowledge into Belle Botanique, which began in his Highbury lab last year. “There is a vast amount of untapped potential in the botanical world,” Manoj says. “The use of make-up products has significantly increased over the past decade, but hardly anyone is talking about the potential dangers or potential side effects.” He says while it’s something people are slowly becoming more aware of, there’s a lot of misinformation about what is good for our skin and what is not. One of the biggest factors in the declining appearance of skin is ageing, and Manoj suggests combating that early. 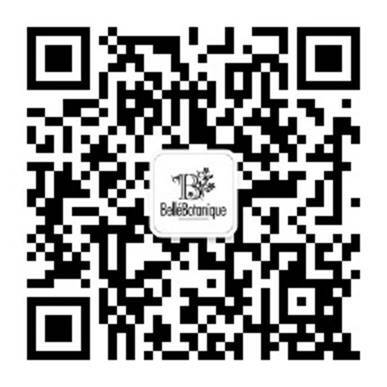 The Collagene range was formulated for anyone above the age of 25. It’s also perfect for South Australians, who need to adapt their skincare routine to the dry heat. Manoj’s background in science means he trawls scientific studies and reliable research to keep up with any new information about what can help our skin. Because his specific interest is in green chemistry, he’s all about ingredient transparency, sustainable manufacturing and using renewable sources. One of the botanicals he uses is the rose — it’s the perfect ingredient to use in a mist, spritzed throughout the day, especially when we’ve been in front of a screen for hours. “Rose oil triggers neural pathways that make us feel good.” We may not be able to completely avoid the damaging blue lights of our computer, tablet and phone screens, but Manoj says it’s important to minimise their effect. 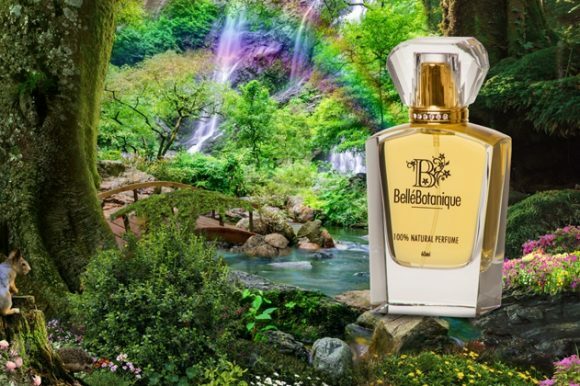 Most recently on the agenda for Belle Botanique was their new range of perfumes. 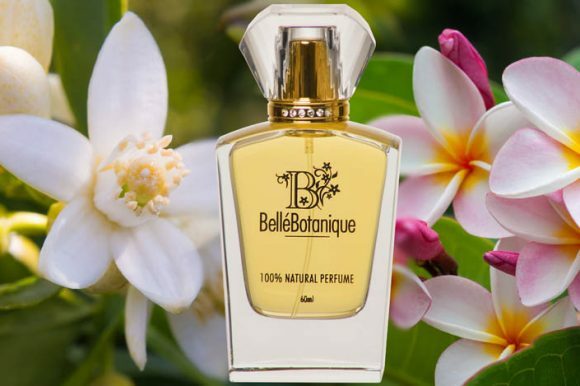 Into an industry dominated by synthetic aroma chemicals, they have launched natural perfumes, using grape alcohol, sourced from South Australia.